Summer days for me aren't complete without playsuits and jumpsuit. 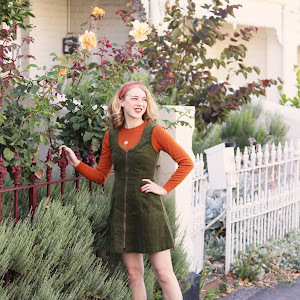 Today I'm featuring the gorgeous Bianca Playsuit by Princess Highway. 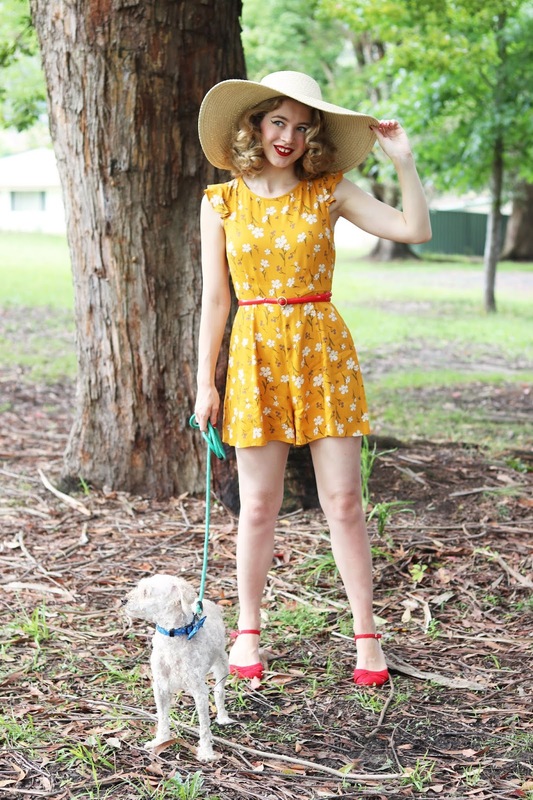 I'm featuring another super cute look by Princess Highway, the Bianca playsuit (which also comes in red) is a super sweet summer playsuit which is perfect warm weather and such an easy way to feel super cute when the heat makes you feel quite the opposite. 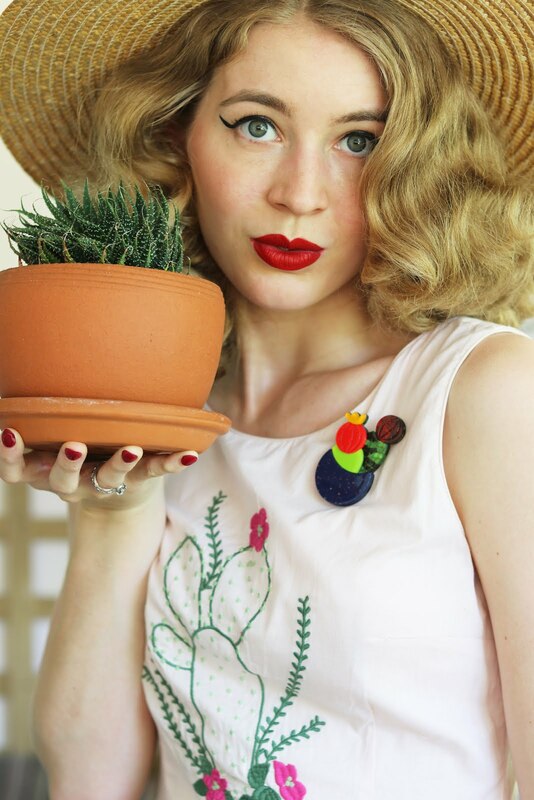 This playsuit gives me some 1940s vibes with the ruffles, bodice design and shorts. 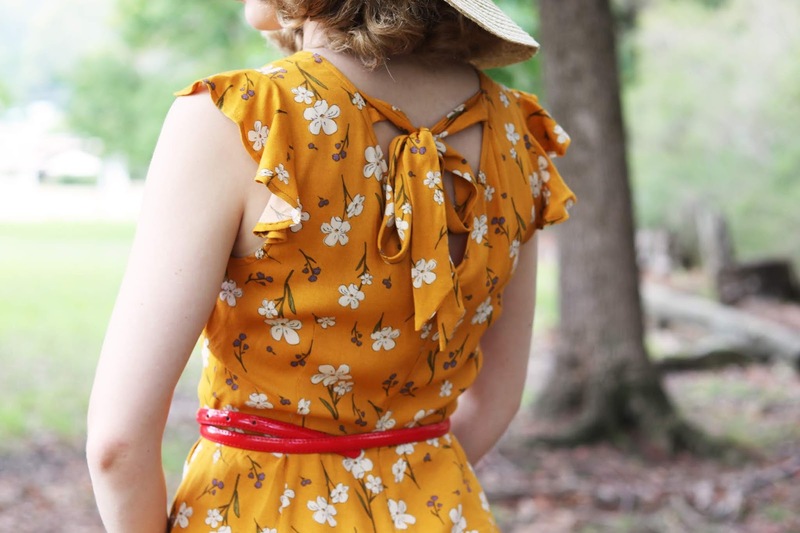 I love the bow on the back and of course the floral print. 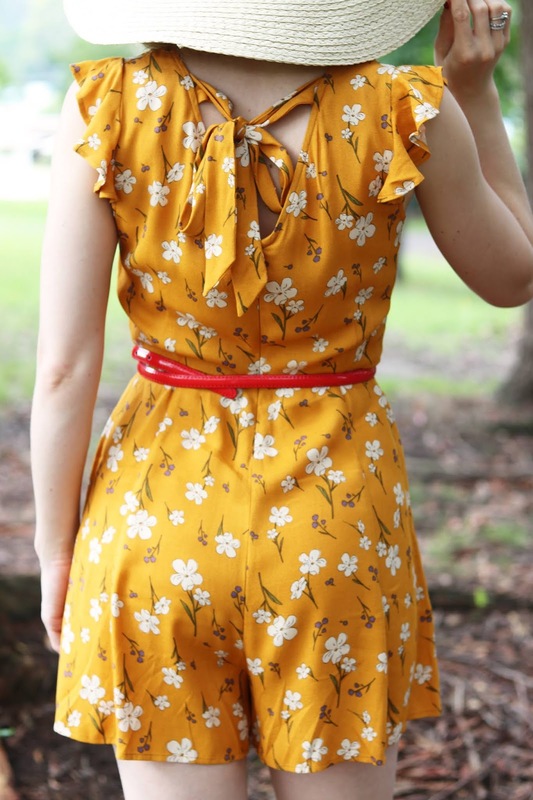 Since I have grown my hair out to it's natural blonde shade I seem to love wearing yellow even more so I had to go for this version of the playsuit. Wearing size 8 there is a bit of room for comfort and it's a great fit, especially for summer when you don't want to feel too restricted in clothing (well. I know I don't want to feel like that). We've had plenty of hot weather here, which I wouldn't expect otherwise. Plenty of time has been spent at the beach swimming, as much as possible and when I'm not melting in my "house dresses" at home I try to pop on cute outfits like these with light make-up. I have had a pretty good summer so far and am looking forward to a great year ahead too. There will be another Princess Highway outfit on the blog very soon, I am hoping to shoot some photos tomorrow. 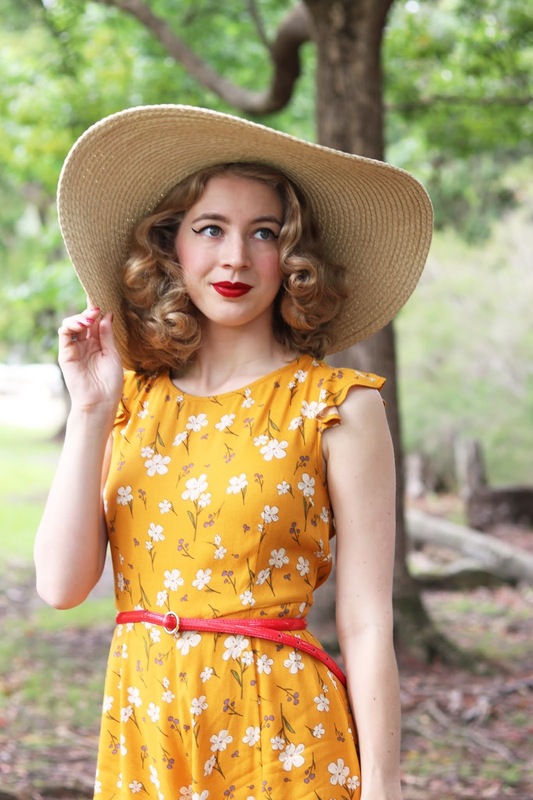 It's one of the cutest dresses ever featuring probably my most favourite Australian native flowers.